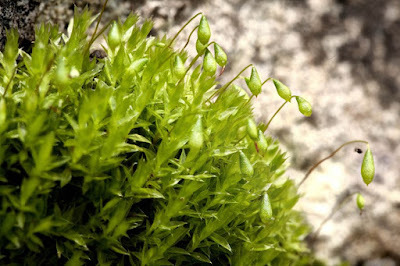 Bryum caespiticium, from the Ohio Moss and Lichen Association. 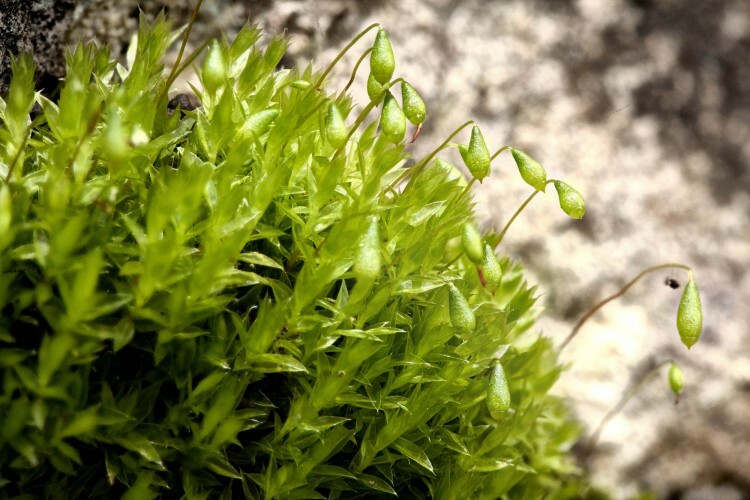 The section Eu-Bryum of the genus Bryum includes often tall mosses with rather long, narrow leaves (Dixon 1924). Characters (from Dixon 1924): Innovations usually not julaceous, cells wider, more or less hexagonal-rhomboid. Inner peristome perfect. Outer teeth pale yellow above, at base thickened, deeper in colour, orange. Spores small.